Shaun, a man with a lousy life, decide to change things and make everything better… right in the middle of a zombie apocalypse. i guess if you visit a horror movie website, you’ve probably already watched Shaun of the Dead… who hasn’t really? If you didn’t – well no need to read further, just go sit on your couch and enjoy. How jealous I actually am of those who yet have to experience this movie for the first time. 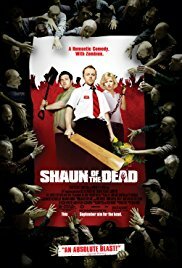 Shaun of the Dead is very special to me because it is one of the movies that made me a horror fans. 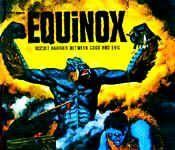 I remember watching it at the small cinema next to my student residence, in a double feature along with the 2004’s of Dawn of the Dead (two of the very best modern zombie movie really)… a day that completely changed my life! Describing with words how funny Shaun of the Dead is would be impossible. Let’s say it is simply one of the funniest horror comedy ever made, along with Evil Dead 2 maybe. The movie is a parody of/homage to other zombie’s movies and horror movies in general, somehow like Scary Movies but not as campy and a lot funnier. It is outrageous, silly but never stupid, fast paced and filled with cult scenes from start to end. A compulsory watch that the better and better as you watch it over and over again.